Selecting an Home Care Agency for a loved one can be an overwhelming decision, but it doesn’t have to be. It’s important to ask these questions of the potential care providers you’re interviewing. "From the initial admissions interview until the last day the aide came to my parents' home, everything was handled professionally and the care was excellent." 1. Is the agency licensed in Pennsylvania to provide Home Care? As of 2010, all Home Care Agencies and Registries must hold a current license from the state of Pennsylvania in order to provide in-home care. 2. Does the agency employ caregivers of all skill levels? This includes: PCAs (Personal Care Aide), CNAs (Certified Nurse Aide), LPNs (Licensed Practical Nurse), RNs (Registered Nurse). 3. 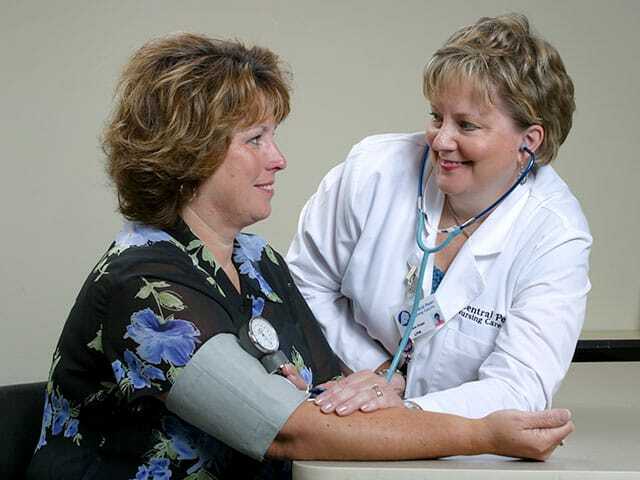 Is a free Nursing Assessment done to determine what level of client care is needed? 4. Does the agency cover insurance, payroll taxes and Workers’ Compensation costs for the caregivers? Who takes care of an injured caregiver? If the agency you select does not cover employee/caregiver costs, you (the client) may be held responsible for employee taxes and other liabilities like employee injury. 5. Does the agency conduct the following with their caregiver applicants? 6. Does the agency provide the following once a caregiver is hired? 7. Will caregivers provide transportation for the client to appointments (doctor, hair appointments, etc.)? 8. Is there a Scheduling Coordinator and a Nursing Supervisor on call 24 hours a day, 7 days a week, to ensure that all client needs are met without lapses in care? 9. When I call the office, will I speak to a live person or an answering machine? 10. Will the agency bill the insurance company directly? Will the agency accept credit card payments? Hiring the right in-home care agency will provide the freedom, improved quality of life and peace of mind that you and your loved one deserve. That’s what you’ll get when you choose CPNC for your home care agency.